Intersection of N Going Street and N Concord Avenue looking west, October 7, 1974. 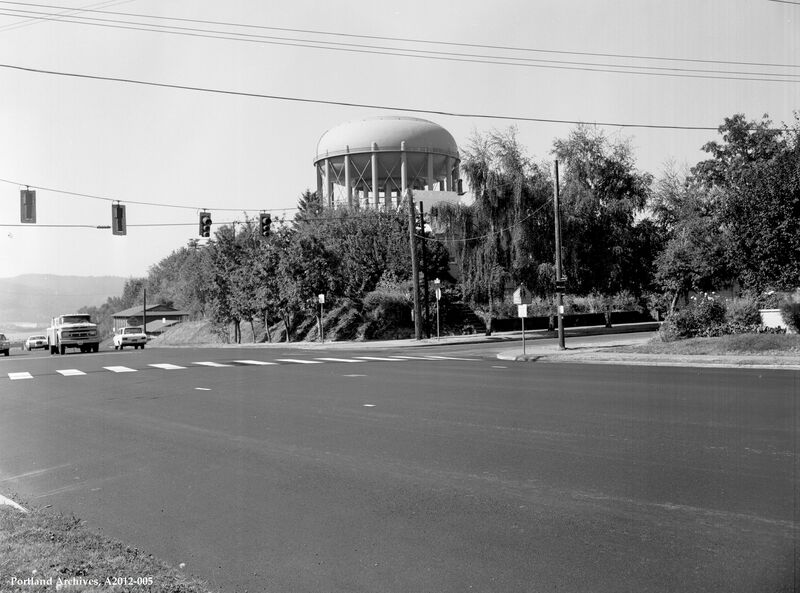 This view includes the Overlook Neighborhood’s Denver water tank. Oh, neat; I had always wondered what that area had looked like before it was highwayized.